The top Latin American celebration for cinema, the Guadalajara International Film Festival (FICG), kicked off on Friday evening in Mexico with Catalonia as a guest of honor. The film ‘Anchor and Hope,’ by Catalan filmmaker Carlos Marqués-Marcet, inaugurated the event, in which seven Catalan productions are bidding for prizes. One of the most successful works by Marqués-Marcet is 10,000 km. Some 30 more pieces coming from the guest country will also be displayed at the event, including ‘Summer 1993,’ by Carla Simón, ‘The Bookshop,’ by Isabel Coixet, among other films, documentaries and short films. The 33rd edition of the FICG will pay tribute to the career of Ventura Pons, one of the most well-known Catalan directors, with the Mayahuel prize. The country’s presence at the event has been promoted by the Catalan administration through Catalan Films & TV institute and the Institut Ramon Llull, a public authority promoting Catalan language and culture abroad. Barcelona-born director Jo Sol is also in Mexico to present his new film, ‘Living and Other Fictions.’ Also talking to the Catalan News Agency, he said that he was very “excited” about being in Mexico because his career started in this Latin American country, when some years ago he made some “ethnographic documentaries.” His new work aims to “make people think,” according to him. 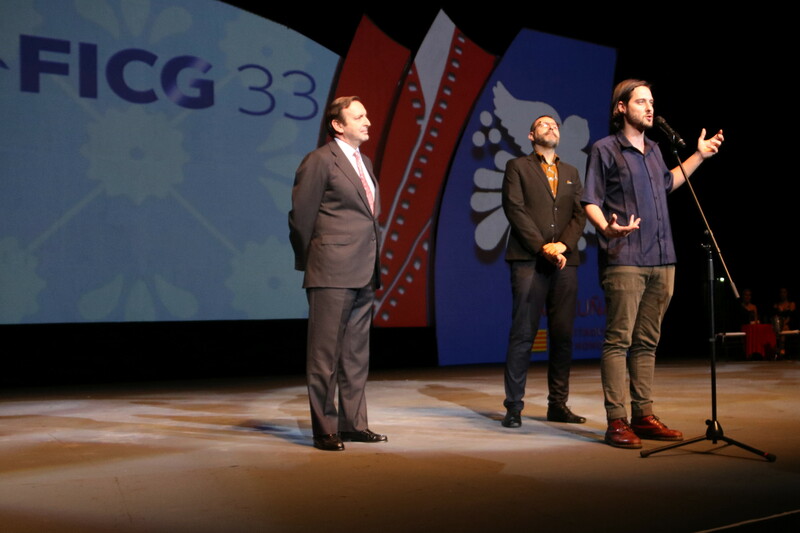 Other Catalan productions featuring in FICG include ‘The Death of Louis XIV,’ by Albert Serra; ‘Tad the lost explorer,’ by Enrique Gato and David Alonso; and ‘The Orphanage,’ by J. A. Bayona. The documentary ‘Ada for Mayor,’ about Barcelona’s mayor Ada Colau, will also by displayed. The work, by Pau Faus, will feature along with some other documentaries and short films.